The Hudson's Bay Centre offer more than 46 brand name stores. The Hudson's Bay Centre is located in Toronto, Ontario - 2 Bloor Street East, Toronto, ON M4W 1A8 (GPS: 43.670479, -79.386628). Look at the list of stores in The Hudson's Bay Centre, hours, location and information about mall and special events, sales, coupons. You can choose store from list below and get detail information - other stores locations for the brand, location, shopping hours, phone, map, directions contact. The Hudson's Bay Centre is one of the best shopping place for spend your free time - mall/shopping center has all types of stores - outlets, department, fashion, traditional and more. Have you ever visited The Hudson's Bay Centre? Do not forget to write shopping review and rate your satisfaction. 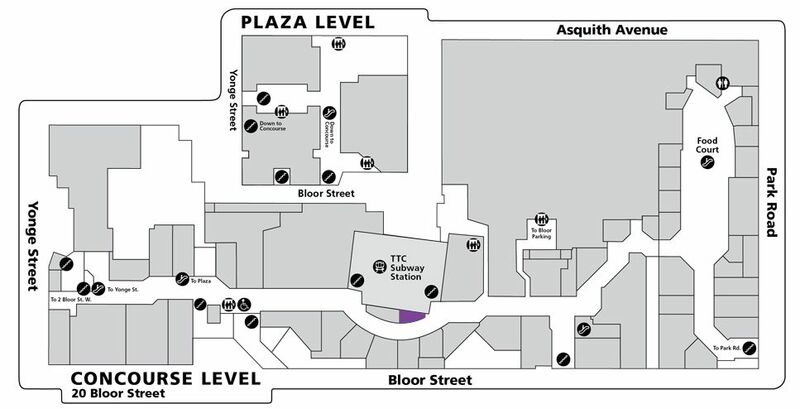 The shopping center is located at the corner of Yonge and Bloor, neighbouring the prestigious Bloor-Yorkville shopping and entertainment district. It offers a various selection of great specialty shops, boutiques, services & eateries. The Hudson's Bay Centre is home for brands like Ardene, Dollarama, The Source, Tim Hortons, ... The Hudson's Bay Centre is located close to Old Toronto. The Hudson's Bay Centre is located in Toronto, on the corner of Yonge St and Bloor St E, close to Old Toronto. Pajar Trooper boot had a price of 200$ and given a scratch-off random discount of 20-50%. Directly from Pajar, check it's Web site, that model costs $175. Another model looked very much like Pearson, which has a 165$ original price. That offer might thus be even more misleading on this model. I never quite trusted buying here... On top of that when I asked about that 20-50% discount, the seller simply repeated "it can be between 20-50%". I had to insist a third time and let him know he was repeating himself and that I obviously knew *that* already, before he hinted at how it worked -but still with se attitude. The younger guy was very efficient and correct instead. Bad manners and untrustworthy offers... gonna be hard I buy there something. Give us your experience with The Hudson's Bay Centre by writing a short review.